At Como Park Zoo and Conservatory, conservation is a part of our mission. Our goal is to take an active role in helping to conserve our planet’s resources – plants, animals, and whole ecosystems. As a model for others, Como staff works to preserve resources and operate in an environmentally responsible, efficient, safe and sustainable manner. Como has set up a permanent collection point to collect and recycle unwanted cell phones and small handheld electronics. All items collected will be sent to Eco-Cell and Como will received funds for each donated item. The funds raised will go to Orangutan conservation projects that help preserve one of the most critically endangered species on earth, the orangutan. In addition to aiding endangered orangutans, recycling these items at Como prevents toxic batteries from harming our earth when land-filled and helps to reduce the need to mine coltran, a product used in making cell phones & small handheld electronics that is often illegally mined in an area of Africa that is home to endangered gorillas. Drop off your unwanted cell phone or item from the list below in the collection box located in the Visitor Center. Laptops and computers can be recycled for free at Tech Dump. Important Note: It is the responsibility of the donating party to cancel or switch service on the phone and to delete any data such as phone numbers, text messages, emails or documents that might be on the cell phone. For more information on the Como recycling program call 651-487-8272. Collections from recycling drives can be mailed directly to Eco-cell. 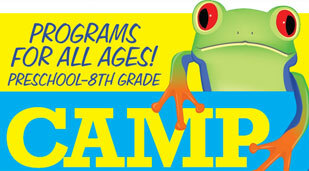 Please contact ComoEducation@ci.stpaul.mn.us to receive shipping labels. To learn more about orangutans and what else you can do to help save their habitat visit The Orangutan Conservancy web site. Recycle your Ink Jet and Toner Cartridges at St Paul’s Como Park Zoo and Conservatory. Proceeds from the Cartridge recycling program will help fund Conservation Projects on the Como Campus. A donation box is located in the lobby of the Visitor Center. Have old or broken holiday lights? Don’t throw them away, recycle them! Many cities provide holiday light recycling services throughout the holiday season, be sure to check to find a location nearest you. You can also visit the Recycling Association of Minnesota for a list of year-round drop sites for holiday lights. Remember to buy LED lights when you replace your broken holiday lights. They use a fraction of the energy of traditional lights and last longer too! Como Park Zoo and Conservatory has partnered with Eureka Recycling to create a model for public recycling. Eureka Recycling has received a grant from the EPA and MN PCA to create this model for “away from home” recycling. Few examples of large public space recycling programs exist. Como will assist in determining best practices, including how to assess the need and design of public space recycling in the community. 2011 SSP Animals at Como. AZA has reorganized it’s SSP programs and created new categories. In doing so Como now has 37 SSP animals. There are now two types of SSP Program designation: Green and Yellow (which we’ll represent as orange here in order to view it better). Cooperatively managed populations that can retain 90% gene diversity for at least 100 years, or 10 generations, are Green SSP Programs. Green SSP Programs must adhere to the AZA Policy for Full Participation and all non-AZA member partners must be approved by the Wildlife Conservation and Management Committee (WCMC). Cooperatively managed populations of at least 50 individuals that cannot retain 90% gene diversity for 100 years or 10 generations are Yellow SSP Programs. Participation in Yellow SSP Programs is voluntary, and non-AZA member partners do not need to be approved by the WCMC. A third category – Red Programs are recommended by their associated Taxon Advisory Group (TAG) for cooperative management among AZA, but their populations are too small, fewer than 50 individuals, to qualify as a Species Survival Plan (SSP) Program. Red Programs maintain an AZA Regional Studbook. Red Programs do not have the same population planning requirements of SSP Programs. However, Red Programs are encouraged to work with their TAG on defining their Animal Program goals and objectives, which will impact the subsequent Animal Program management strategies, as these will differ between Red Programs. Some start-up efforts will be designated as Red Programs. There are some “old” SSP’s that have not yet been designated one of the new categories. Como Zoo Primate Keeper, Megan Elder, is the newly appointed North American regional studbook keeper for the Crowned lemur (Eulemur coronatus)- a species managed under the Eulemur Species Survival Plan (SSP). Crowned lemurs are found only on the northern tip of the island of Madagascar. Duke University’s Primate Center estimates only 1,000-10,000 individuals left in the wild. Threats to this species include human encroachment, “slash & burn” agriculture, and fragmented habitats. To qualify for this position, Megan underwent special training and completed two Population Management courses offered through the Association of Zoos & Aquarium’s (AZA) professional development program. As studbook keeper, Megan is responsible for tracking all Crowned lemurs held in North American institutions and tracing them back to the wild. In doing so, a database is created that is used to perform genetic analyses for making breeding recommendations. Studbooks are important conservation tools that ensure genetically diverse, healthy captive population similar to those in the wild. The Blandings turtle is listed as a threatened species in Minnesota. Como Zoo staff is involved in tracking the Blandings in Saint Paul Parks. The ongoing research locates the areas where this rare species is found and provides critical information to help protect its habitat in our city. Como recently joined a coalition of AZA accredited zoos and aquariums, non-governmental organizations and governmental agencies – working together to aid the conservation of threatened, endangered and vulnerable North American Butterflies and the habitats that sustain them. This initiative focuses on recovery, research and education. At Como we demonstrate butterfly gardening with the Enchanted Garden, which is located across from the Marjorie McNeely Conservatory. Last spring, our on-site butterfly habitats were expanded to include space in the Bird yard around the Old Mill House. Como is also working with the Monarch Larva Monitoring Project at the University of Minnesota to collect data on monarch butterflies in Como’s gardens. Como has established a Seafood Watch Partnership with the Montery Bay Aquarium to raise awareness with our visitors about the importance of buying seafood from sustainable sources. The 3″ x 2″ foldable guide is updated twice a year and lists which types of fish make the best options for sustainable dining. This small handout is the perfect size to keep in your purse and pull out when you visit the grocery store! Visitors can pick up a Seafood Watch guide at the Visitor Center or in the Aquatics building. Not able to get to the zoo? You can also print the pocket guide or download the app for iphone or android! Click HERE to get the pocket guide or app. It is believed that 50% of nearly 6000 species of amphibians are in serious danger of becoming extinct in the near future. The goal of the Amphibian Recovery and Conservation Coalition (ARCC) is to treat sick amphibians in the wild and establish healthy captive colonies here in the United States. Como is helping to breed five species of endangered Panamanian frogs for the coalition including the national symbol of Panama, the Golden Frog. The education department has created a ‘coffee card’ that explains to Como visitors why they should purchase shade grown coffee. Coffee cards are available for interpreters to give out to visitors, who can then show the card in Garden Safari Gifts to receive a 10% discount on shade grown coffee. The shade grown label on coffee means that the beans were grown on a plantation that provides a rainforest home for birds and animals. Over the last 20 years, many large coffee plantations have switched to full sun production, and in doing so eliminated the forest that serves as a critical habitat to many species of migratory birds. Approximately 200 species of birds are known as neo-tropical migrants, breeding in North America and migrating south to Mexico, Central and South America and the Caribbean islands for the winter. Many plants are under severe threat of extinction from over-collection and destruction of their native habitats. 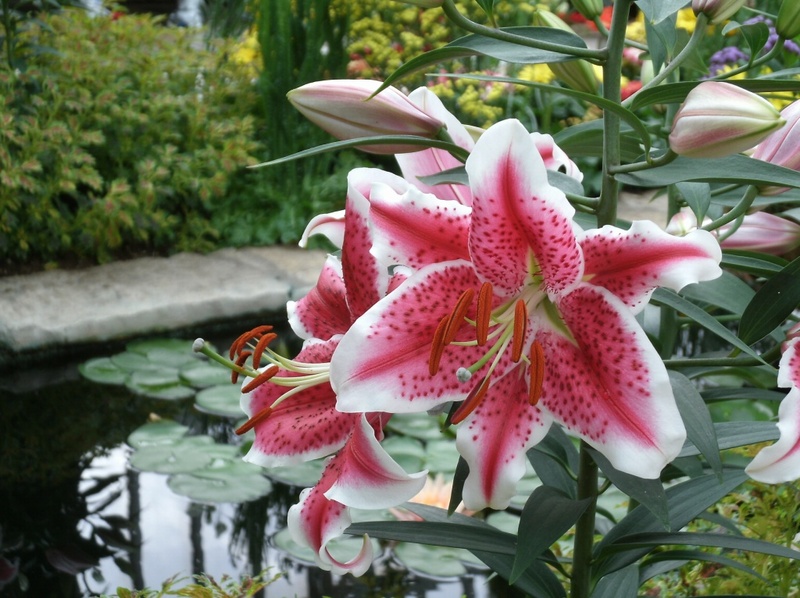 The Marjorie McNeely Conservatory has been designated as a Plant Rescue Center by the U.S. Department of Interior, Fish and Wildlife Service (USFWS). This program was created in order to salvage plants seized through the enforcement of regulations put in place by the Convention on International Trade in Endangered Species (CITES). It was established in an effort to curb the illegal collection, documentation and trade of plants and to ensure their survival after confiscation. Integrated Pest Management (IPM) is an approach to pest control that utilizes regular monitoring to determine if and when treatments are needed. It then employs physical, mechanical, cultural, biological and educational tactics to keep pest numbers low enough to prevent unacceptable damage or annoyance. Treatments are made only when and where monitoring has indicated that the pests will cause unacceptable economic, medical or aesthetic damage. Treatments are chosen and timed to be most effective and least hazardous to non-target organisms and the general environment. As part of the IPM program beneficial insects are released in the glasshouses to prey on pest insects – particularly in the MMC’s public areas where pesticide use is extremely limited. In 2005, over 1 million beneficial insects were released. Buckthorn is an invasive plant that robs native plants of nutrients, light and moisture. Overgrown buckthorn can degrade wildlife habitat, contribute to erosion and serve as a host to pests such as fungus and harmful aphids. Buckthorn eradication at Como Park Zoo and Conservatory campus is a goal of the horticulture staff. Targeted areas for buckthorn eradication include the zoo exhibits, behind-the-scene areas, and the grounds that adjoin the Como Ordway Memorial Japanese Garden. Progress was made in 2004 with the participation of a large group of volunteers from Comcast and is also made annually with existing staff, but more resources will be required to achieve total eradication. Polar bears have recently been listed as a threatened species on the US Department of Interior Endanger Species Act. Ecological change due to global warming is a major factor in declining polar bear populations. Polar bears are dependant on arctic sea ice for hunting among other things. As the arctic temperatures rise, the polar bear’s hunting season gets shorter and shorter. Polar bear scientists predict that two-thirds of the world’s polar bears may be gone by the year 2050. Como Park Zoo and Conservatory is one of 50 zoos, museums, aquariums, and science centers from around the world that have joined Polar Bears International’s network of Arctic Ambassador Centers in an effort to conserve polar bears in their natural habitat. We are working hard to educate people about the plight of the polar bears. We are also taking steps to reduce our impact on rising global temperatures. Since 2008, Como Park Zoo and Conservatory has been invited to send representatives to Churchill, Manitoba to learn more about polar bears in their natural habitat. Polar Bears International’s Leadership Camp participants return to Minnesota to teach our citizens about polar bears and their dependency on sea ice. Each year, participants develop forward action plans that commit them to work towards reducing the amount of carbon released into the air and therefore slowing the global warming process. To learn more about our 2011 teen’s experience in Churchill, click here. The complexity and evolution of scientific research surrounding climate change make it a difficult subject to teach. In September 2010, the National Science Foundation (NSF) awarded funding to 15 projects designed to increase public understanding of global climate change. Como Park Zoo and Conservatory, under the direction of the Chicago Zoological Society, joined a network of nine zoos, Polar Bears International, the University of Illinois at Chicago, and Pennsylvania State University to conduct research that was needed to understand zoo visitor’s current views on climate change. Following a series of questions developed by researchers at Yale and George Mason universities for their ongoing “Six Americas,” the survey allowed researchers to compare the knowledge, attitudes, and beliefs about climate change with those of the general public. Results of the surveys found that 82 percent of zoo visitors believe climate change is happening. The Six Americas study reveals that only 64 percent of the general population believes that climate change is happening. The zoo survey also found that, although most visitors are concerned about climate change, they are least likely to believe that individual actions can help solve the problems of climate change. The information gained from the Climate Literacy Zoo Education Network will assist zoo educators, staff and volunteers to shape messaging surrounding climate change and its impact on the natural world. Each year, Polar Bears International supplies Como Park Zoo and Conservatory with educational materials to share with visitors. Not only has PBI provided beautiful polar bear images to enhance the Polar Bear Odyssey Exhibit at Como Zoo, they have also provided artifacts our volunteers use to teach visitors first hand about polar bear adaptations. The next time you visit Polar Bear Odyssey, if a volunteer is present, take advantage of the opportunity to touch real polar bear fur and tracking collars along with replica skulls and claws. Finally, to enhance our polar bear celebrations, PBI has provided us with wonderful miniposters to share with visitors. If you haven’t had a chance to make it out to Como for one of our polar bear events, you can download your own miniposters and other educational materials here. When we recycle, we reduce the carbon emissions that stem from landfills and incineration. In addition, a tremendous amount of energy can be saved through the manufacturing process. For example, making a new aluminum can from recycled cans may calculate to an energy savings of 97% over the energy that would be needed to make a new can from raw materials. Recycling at home is easy, but recycling while you’re on the go is another story. Approximately 31% of beverage containers in America are consumed away from home. It is often difficult to find recycling containers in public spaces so the majority of these containers end up in the trash. With the current national recycling rate at 20% for plastic water bottles, it is estimated that nearly 40 billion plastic water bottles end up in the trash every year – 40 BILLION! That’s a lot of carbon being released into the atmosphere when those bottles are burned in incinerators or sent to landfills to decompose. Citizens of St. Paul take their recycling seriously. According to Eureka Recycling, St. Paul’s longstanding nonprofit recycling program, St. Paul has one of the highest recycling rates in the country. In 2005 residents spoke out about their desire to have the opportunity to recycle while enjoying the public spaces within the city. Eureka listened, and through research found that there were no well-established public-space recycling programs in the United States. Eureka Recycling realized they would need to pilot a public space recycling program the rest of the country could model. In 2007, St. Paul Parks and Recreation and Eureka Recycling partnered to establish a permanent recycling program at Como Park Zoo and Conservatory. In 2008, 13 recycling stations were purchased and placed strategically throughout the grounds. In addition, waste sorts, visitor surveys, and educational messages were utilized to determine best practices for Como. During the 15 months the project was running, over 4,900 pounds of bottles and cans were diverted from trash. Recycling that many bottles and cans is equivalent to preventing 6.7 metric tons of carbon dioxide from being released into the atmosphere or the same as taking one passenger vehicle off the road for 14.4 months! Como Park Zoo and Conservatory plans to purchase and place additional recycling containers for visitors improve the number of recyclable materials diverted from trash. 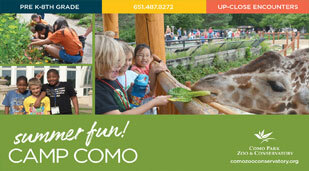 As one of the premier attractions in the state of Minnesota, Como Park Zoo and Conservatory began offering a free, park-and-ride shuttle service in summer 2009. The goal of the shuttle service is to ease traffic congestion in and around the park, improve safety, and mitigate vehicle emissions thus improving air quality and reducing greenhouse gas emissions. Five low-emission diesel shuttle buses are utilized on busy days. The shuttle currently operates from May to September. GREEN TEAM MISSION STATEMENT: To make Como Campus an Environmental Ambassador for it’s visitors, staff and volunteers by enhancing, fostering, inspiring green practices such as recycling, waste reduction, conservation, and education. Green Design is an important feature of the Visitor Center at Como Park. The interior walls are made of a recycled wood product. Photovoltaic cells help provide shade over the new Fern Room and offer a source of renewable energy. The photovoltaic project was funded as a demonstration project by Xcel Energy. Water is collected and reused throughout the new facility. Accumulated runoff goes through a series of pools and streams and ends up in an underground cistern. This water will eventually be used to irrigate the building’s exhibit plantings. Como’s volunteer team interprets the photovoltaic cells and other environmentally friendly aspects of the Visitor Center to the general public. The Conservation Parking Meter is on its eleventh year at Como! Money collected in the meter goes to the Center for Ecosystem Survival for the purchase of rainforest land in Central America and the Adopt an Acre program.